The reigning USAG champions enter 2018 in a strong position, having lost only four routines from their 2017 postseason lineups. The Pioneers’ three freshmen will add a few exceptional routines, as well as some depth to lineups that will stay mostly the same in 2018. TWU’s combination of difficulty and creative routine construction brought it great success in 2017, and it’s well-positioned to continue its upward trajectory this year. Bria Northup was named the team’s MVP last year as a freshman, having competed all around eight times and contributed a 9.925 on floor to the team’s national team final score. Schyler Jones also regularly competes all four, and fellow senior Alyssa Kelly didn’t compete until late last season but contributed strong scores nevertheless. Mallory Moredock and sisters Taylor and Hunter Vincent can be expected to hold regular lineup spots in two to three events each as well. Last season’s most regular vault contributors were Jones, Moredock and Hunter Vincent, and all four should be expected to return with Jones most likely anchoring. Vault was Northrop’s weakest-scoring event in her freshman season, so if any of her lineup spots are vulnerable, it’s there. But it’s more likely she’ll compete all around as frequently as her health allows. 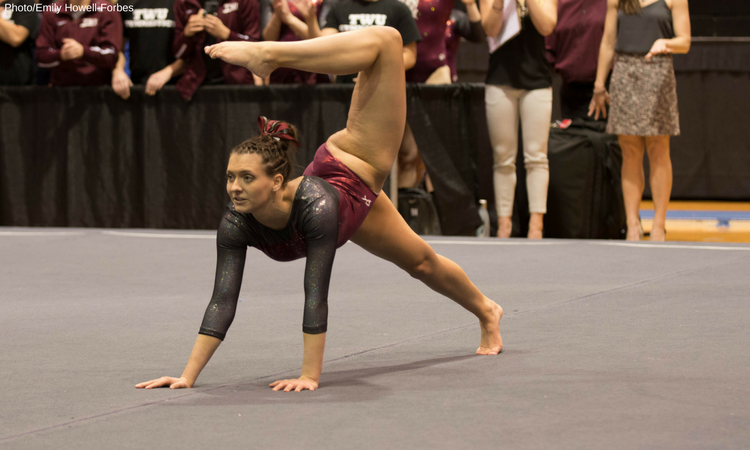 Megan Gentry began competing late last season and notched a season high of 9.85. Plus, her J.O. scores back up her ability to consistently be competitive here. Brandi Lazarus, Erin Alderman, Jenna Cashmore and Hope Parkin provide other returning options. Junior Morgan Colee hasn’t yet competed for the Pioneers, but her J.O. scores were strong, often reaching the 9.6s. Freshman Shelbey Fuller also has high level 10 vault scores, but she’s been frequently injured, only competing three times in the past three years. The other two freshmen, Bridgette Peterson and Paige Stuyniski, have also been consistently successful on vault and will be options. There’s plenty of depth available on this apparatus, so success for the Pioneers will mean developing a group of six that minimize amplitude and landing deductions. Likely all arounders Jones and Northrop are staples of this lineup, and both Vincent sisters should be expected to make frequent appearances in the top six as well. Kelly joined lineups late last season, scoring up to 9.85. Despite her limited apperanced in 2017, she competed weekly in previous years. Cashmore was also frequently in the lineup last year, tallying a season high of 9.825. Those six could—and very well might—make up the bar lineup for the Pioneers. However, they’re not short other options. Alderman and Abigail Versemann also have college experience on the event, and Colee had solid level 10 scores if she returns to competition this year. Of the freshmen, Peterson is the strongest option, with a high of 9.575 and good consistency, though any of the three could be an option. Beam might be TWU’s least predictable lineup. While four near-weekly contributors return, there were a number of changes, even during the postseason. However, vault has the potential to be one of the best scoring events if the regulars hit their difficult routines (we’re talking multiple front tuck mounts here!). Jones scored a 9.9 last season, while Moredock, Kelly and Northrop all reached as high as 9.875, meaning that on its best day the team could contend with the best of the country—not just Division II. Both Vincent sisters and Alderman have reached 9.8 in the last year, and Parkin and Madison Dickson also contributed periodically. The presumed freshman star of this lineup is Stuyniski, who reached an astounding 9.825 in level 10 and consistently hit in the 9.1 to 9.4 range for a hit routine. Peterson and Fuller also have strong top scores, though they were less consistent. TWU returns five near-weekly contributors from last year’s floor group, making this arguably its most competitive lineup. Jones, Moredock, Alderman and Northrop should all return to the top six, and while Versemann is less consistent than some of the other veterans, she’s also provided strong scores when she hits. Parkin and Kaitlyn Holley also contributed some routines last season. Kelly didn’t compete floor in 2017 but holds a career high of 9.8 in college. Gentry only has a couple lineup appearances, with mixed results, but scored well in J.O. and could be an option this year if need be. Peterson and Stuyniski collected strong floor scores in level 10, but they might need some time before they’re consistent enough to contend with the upperclassmen for spots. On every apparatus, the Pioneers’ challenge is selecting the most consistent routines out of a strong group of contenders—a problem that many programs would envy. Defending their USAG title will be a challenge, but they’re well-placed to do it with so many strong returners.